compact,lightweight and stainless steel.kit includes 8 different attatchment inluding extractor and lancet tools.an affordable,economical product from Tooltime products.same quality as brand name manufactures at a fraction of the price. 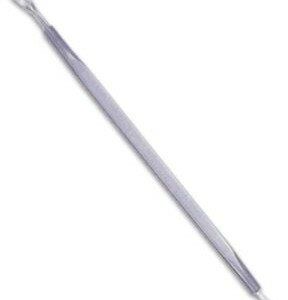 sharp stainless steel lancet for piercing whiteheads and ring for pressing out blackheads.tips are removable and screws into tool for protection when not in use.all stainless steel.an affordable,economical product from Tooltime products.same quality as brand name manufactures at a fraction of the price. 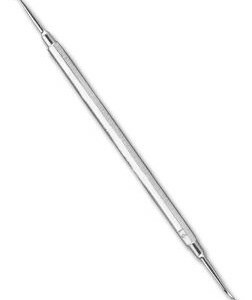 sharp stainless steel lancet for piercing whiteheads and ring for pressing out blackheads.tips are removable and screws into tool for protection when not in use. thin angled loop to roll out mature whiteheads and a flat side to presss out blackheads.all stainless steel.an affordable,economical product from Tooltime products.same quality as brand name manufactures at a fraction of the price.